Lacrosse is one of the fastest growing sport in the UK, and once you have experience the sport first hand you can see why! Often described as “the fastest game on two feet”, Lacrosse combines strength, speed, and strategy into an action-packed game for all ages and abilities. 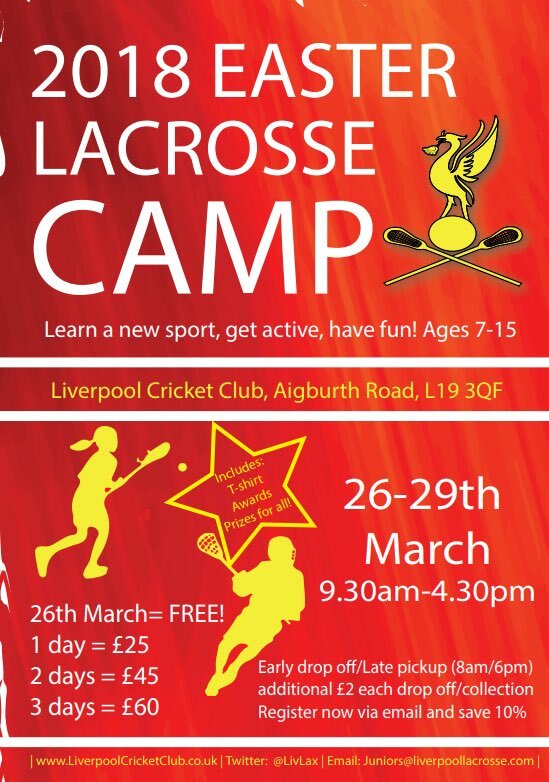 Liverpool Lacrosse is part of the historic Liverpool Cricket Club, and we are open to new members both young and old. So whether you are a new player or returning from a break from the sport, we would love to hear from you! For more information on training times, match days, and most importantly of all, how to get in touch, visit the Lacrosse section’s website at liverpoollacrosse.com.